Meet Greetly, the app that makes capturing visitor photographs a snap! Your workplace is a hub of activity that never stops, even when you’re taking a much-needed business trip or enjoying a long-delayed vacation. You’d like your associates to interact personably and professionally with visitors, whether they’ve met before or not. Greetly is on the case. 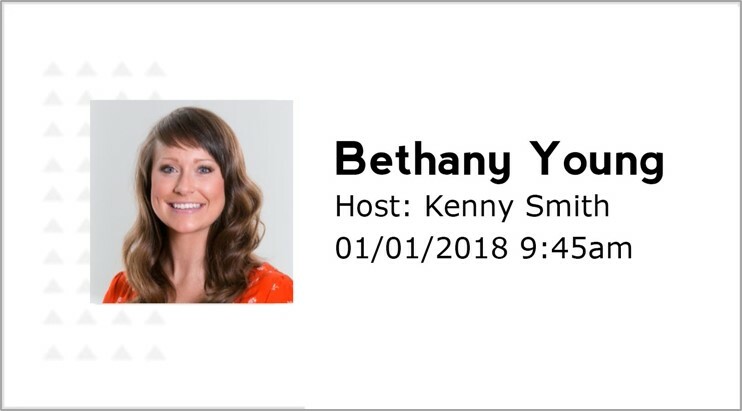 Our award-winning check-in app doesn’t just keep track of arrivals and notify hosts when visitors are on-site; it also takes and retains photographs of your guests. If you’re encountering someone for the first time or just need to refresh your memory about the person you’re greeting, just call up a picture from Greetly’s digital logbook. Should an emergency arise, and we hope it never does, Greetly will be there to help. Our app stores visitor data securely in the cloud, making it available at any time to any authorized user with an Internet connection. You can speed up the search for visitors by sharing photographs in a matter of seconds. Cloud storage means that accessing guests’ contact information is simple and convenient, whether or not you’re at the office. 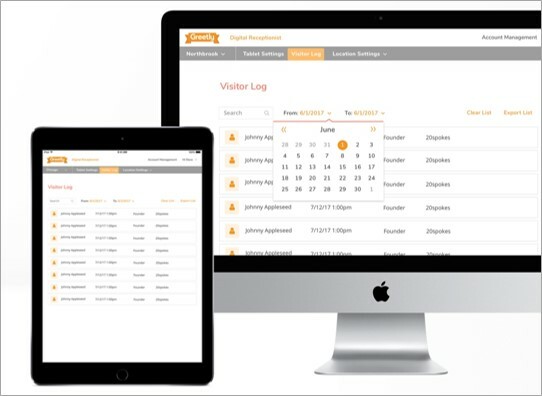 Are you looking for a comprehensive, flexible visitor-management solution that can boost employee hospitality to the next level without taking a bite out of their productivity? Find out where high-tech meets high-touch with Greetly. Be friendly and welcoming while still maintaining productivity with Greetly's visitor management solution. Save Your AdminUTES while Greetly captures visitor photos for you. Greetly’s photography feature helps you and your associates pair names and faces in an instant! Share visitor pictures with associates or emergency responders in moments with Greetly! 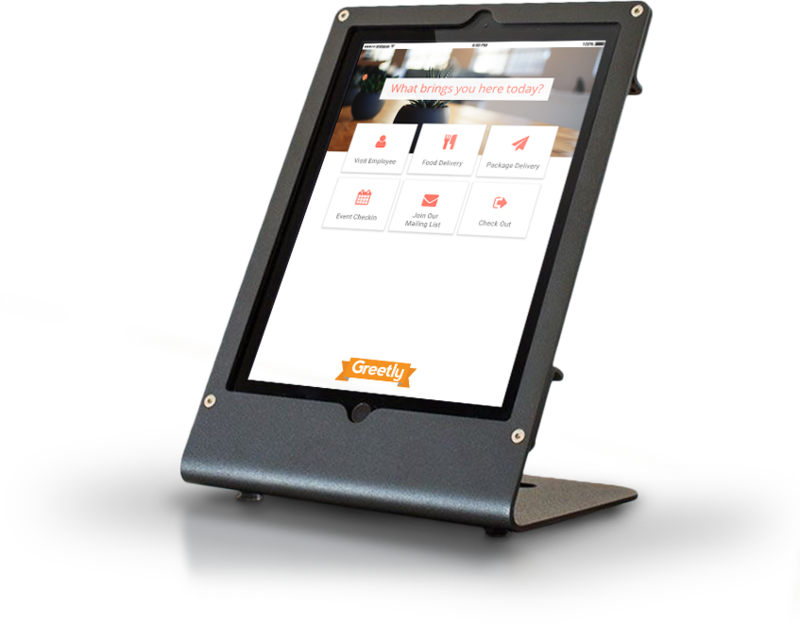 From collecting electronic signatures on NDAs to printing visitor badges, Greetly does it all!